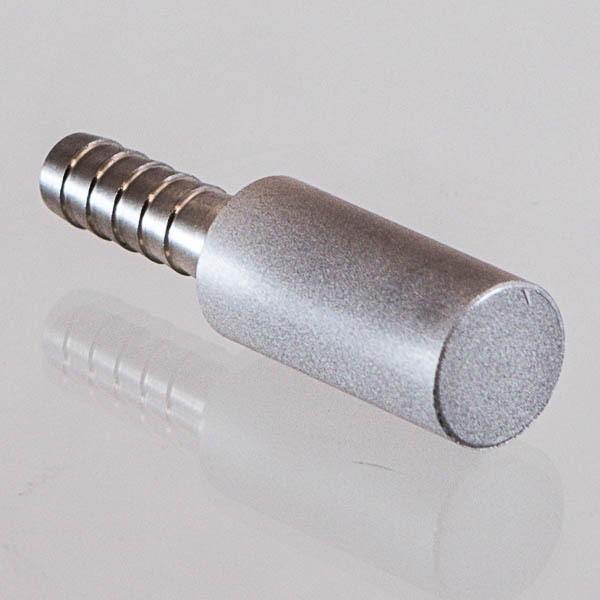 Stainless steel .5 micron carb stone for use in carbonation applications. Includes a 1/4" hose barb. Attach to your hose and push on to your gas dip tube in your keg. Pressurize as normal and drink carbonated beer the next day!